In some games, you don’t need to worry too much about dying and just enjoy the ride. But in other games, dying is literally all you do. ZIQ is such a game. Expect to restart a lot as you dash, jump, duck and weave your way through this chaotic arcade runner by Midnight Sea and 3D Realms. Trust me, it’s going to be hard to keep your head. The story of this game is fairly bare bones, as is to be expected from this genre. You are the titular ZIQ, something resembling a small two-legged machine. For some unknown reason you find yourself getting dumped in what can only be described as a very strange obstacle course. 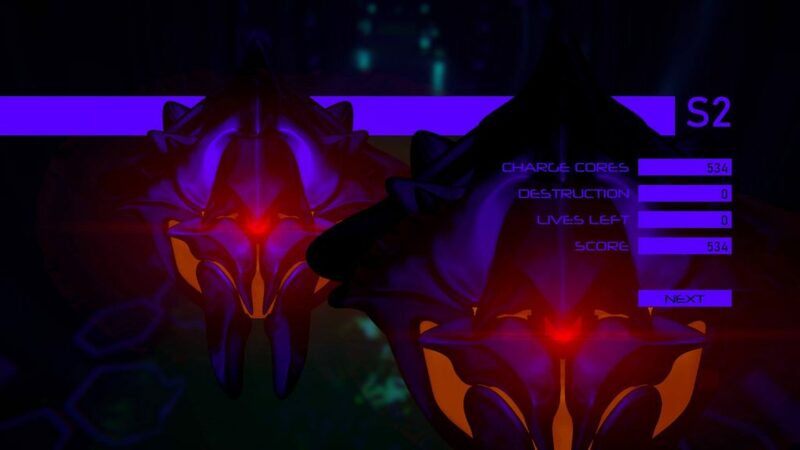 Your goal is of course to get out as fast as possible, all the while being mocked in your efforts by some bizarre alien creature who seems quite interested in your progress. It is soon revealed this creature not only built you, but others as well, to play along in his twisted little game and your only way out is to do as he says. ZIQ has some impressive 3D graphics. 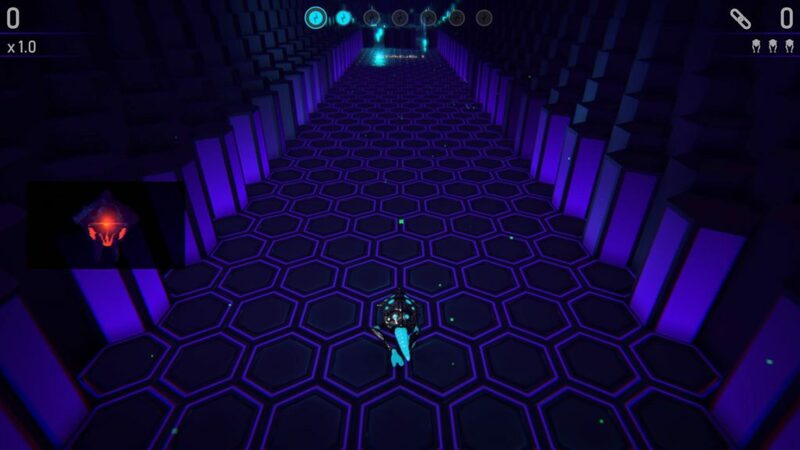 The environments are simple, but suitable for the type of game this is and they run smoothly to enhance the pressure you feel while making your way through the maze. However, the game can be quite dark, in the literal sense of the word, making it hard to see ahead and gauge what’s coming towards you, so it’s even more difficult to survive than normally. Furthermore, while the accent colors of the background change subtlety to indicate when you’re changing polarity, sometimes this change is almost too unnoticeable and sadly you’ll often find yourself squinting at the screen trying to make out the colors. 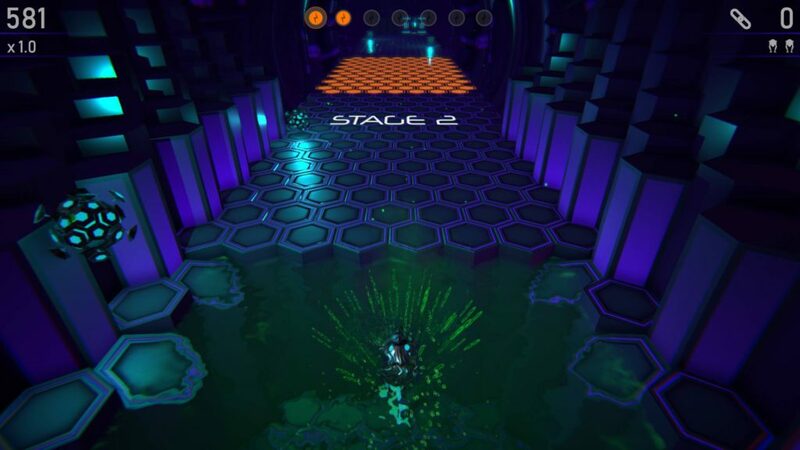 The music in ZIQ is appropriately science fiction-y, if a little repetitive. There are only a few instrumental tracks playing in the background and while they’re pretty long, they’re also on repeat for the entire duration of the game, with some sound effects thrown in here and there. The voice work however is masterfully done as it mocks you for every failing, or makes cruel jokes when you do die, encouraging you to try again and again. It sounds positively giddy at your misery and is truly a unique touch. As in most arcade runners of this type, the main focus of the game is getting through the obstacle course. You use the A and D buttons on your keyboard to run along the left or right lane respectively, while not holding any buttons will have you stay in the middle lane. You also need to jump over pits or walls to keep from dying and successfully make it to the next stage. The ultimate goal is to keep running for as long as you can, or reach the end of the 6 stage course. If this was all though, ZIQ wouldn’t be nearly as hard. However, this game introduces us to polarity. Polarity means ZIQ is either orange or blue at any given time, and you need to switch polarity, ergo switch colors, according to various obstacles in your way. 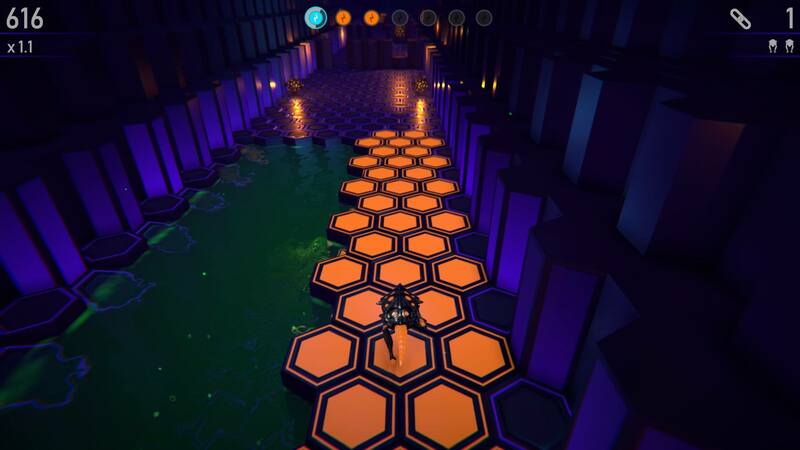 If you’re in orange polarity for example, you can pass through orange force fields or over orange tiles. Along the track you will find glowing orbs, which will change color along with you. To charge, you will have to pick them up in certain color combinations displayed at the top of the screen. Keeping track of these sequences and not dying at the same time is a challenge to put it mildly, and often a small second of distraction is enough to kill you instantly. Once you successfully manage to chain up to 6 sequences though, you’ll be charged. If this happens, you can effectively destroy the opposite polarity obstacles in your way, earning you extra points and getting you a fair bit ahead in the stage. What doesn’t help is that the game gradually gets harder and harder as you keep running, with only three lives to try and reach the end. If you die, you can respawn at around the same location you died in, but if you’re lives are up you’ll have to start all over again next time. Collecting orbs and not dying as often will also earn you points though and the game comes with a nifty leaderboard to compare how you did against your friends and the rest of the world playing the game. 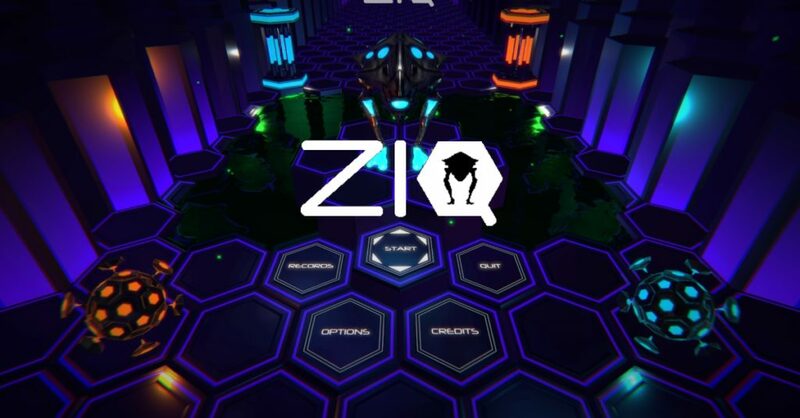 ZIQ is a fun little game that has certainly got all the elements of a proper arcade runner. Besides the few downsides, like repetitive soundtracks and hard to see assets at times, it is certain to keep you busy for a while. And addictive it is for sure, as the little progress you make each time will have you keep coming back for more of this unforgiving challenge.